Play the role of an Ant in an Ant Colony, collect food for your Queen, dig subterranean tunnels, customize and decorate your environment. Call your friendly black ants to attack the red ant colony, and most importantly run away from the Spiders. 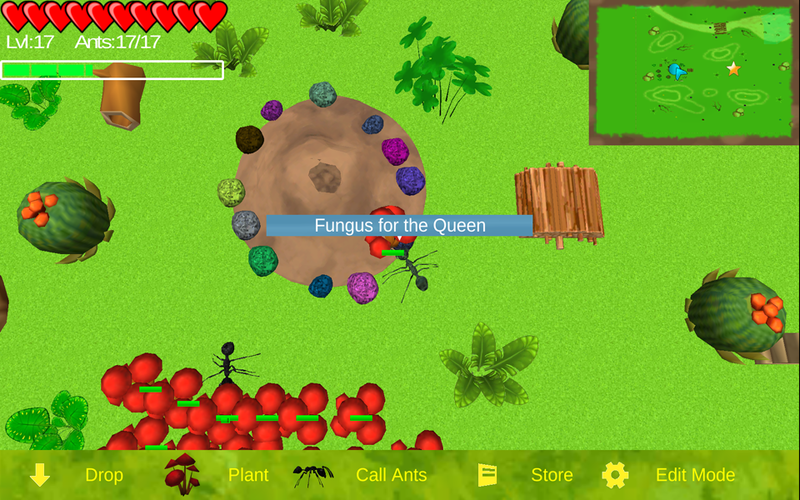 Ant Sim is a fun mix of simulation and sandbox type gameplay that will keep you entertained for hours.